Kerinci is capped by an unvegetated young summit cone that was constructed NE of an older crater remnant. 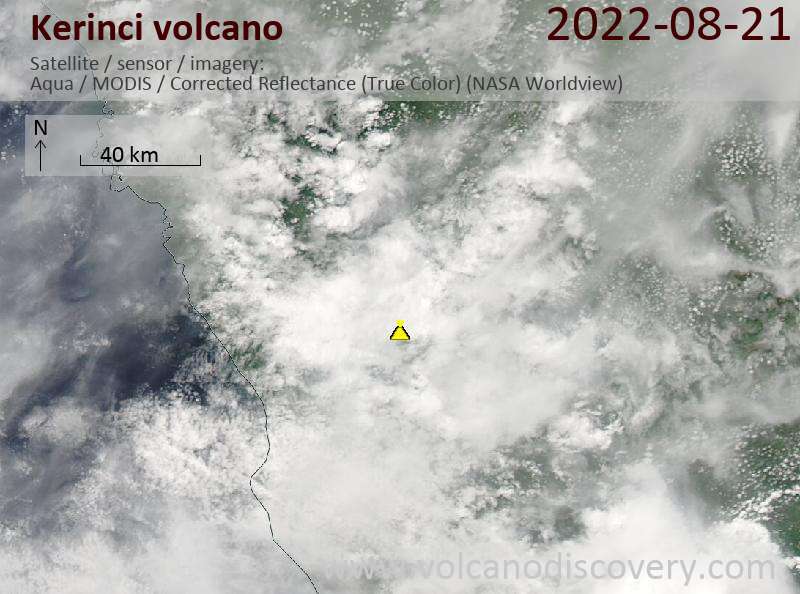 The volcano contains a deep 600-m-wide summit crater often partially filled by a small crater lake that lies on the NE crater floor, opposite the SW-rim summit of Kerinci. The massive 13 x 25 km wide volcano towers 2400-3300 m above surrounding plains and is elongated in a N-S direction. The frequently active Gunung Kerinci has been the source of numerous moderate explosive eruptions since its first recorded eruption in 1838.